CADS have been the authorised reseller for SCIA Engineer in the UK and Ireland for over twenty years and in that time we have successfully introduced many of our customers to it. 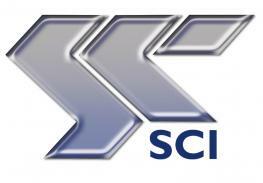 Our continuous efforts to support the SCIA Engineer software, including developing various applications to run within SCIA Engineer and also linking it to our own design and drawing applications such as CADS RC, have enhanced its attractiveness to UK and Ireland Engineers and have been fundamental to the successful and widespread adoption of SCIA Engineer by CADS customers. Unfortunately, the current arrangements have come to an end and CADS is no longer the UK and Ireland reseller. We understand that SCIA will be representing themselves in the UK and Ireland. What does this mean for you as a valued CADS customer? CADS carried out the UK and Ireland support of SCIA Engineer with its dedicated team of Engineers who many of you will know personally. From now on UK and Ireland maintenance agreement renewals may be invoiced directly by SCIA in Belgium and they will be providing the technical support after the renewal date from their offices there. For any existing maintenance agreements that run beyond 28th February 2019 CADS will continue to provide technical support until they expire. However, we understand that SCIA are also offering an optional ‘free of cost’ maintenance agreement to run alongside the existing arrangements you have with CADS and with a common renewal date. All customers with a valid maintenance contract, whether with CADS or SCIA will receive the SCIA Engineer 19 release. CADS, as development partner to SCIA, have written a number of modules for SCIA Engineer including the Revit Link, the Tekla Link and the Wind Load Engine. As far as we are aware these will continue to be provided by SCIA for the foreseeable future. CADS will continue to develop and sell its own software to support its many customers and friends both here in the UK, Ireland and elsewhere in the world. We have a full development programme for applications in Analysis, Design, Drawing and Modelling for Buildings and other Structures with new and improved applications for design and detailing links and plug-ins or “add-ons” for Revit, to be released during the year. We will also continue to provide our 2D & 3D RC detailing, detailed structural design and BIM modelling services. We trust that the above is clear and look forward to continuing to supply you with Structural Engineering Software solutions in the future but if you have any queries please do not hesitate to contact us.